2018 Annual Bootcamp Ideas Competition Winners! [Read more...] about 2018 Annual Bootcamp Ideas Competition Winners! Get the free 21 Days of Bootcamp Ideas course chock full of workout ideas and tips for planning awesome workouts. BootCraft is a curated database of hundreds of high-quality Workout Ideas, Icebreaker Games and Team Finishers at your fingertips. Save a heap of time planning sessions and improve the fun factor and variety of your workouts. 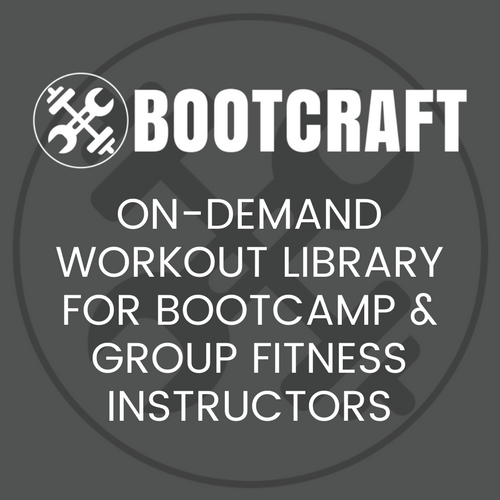 Get on-demand access to 400+ workout and warm up ideas with our premium subscription, BootCraft. Listen to our podcast to get marketing tips, business advice and workout ideas on the go. All workouts on BootcampIdeas.com are to be scaled or modified to the abilities and limitations of your clients, restrictions and constraints of the location, climate and environmental conditions.